“From Arab Spring to Arab Winter” is the title of a special issue of the journal Democratization. Edited by Raymond Hinnebusch, an amazingly prolific international relations professor at the University of St. Andrews, it seeks to examine why democratization has largely failed in the wake of the prodemocratic uprisings, and what patterns can be elicited from the similarities and differences in outcomes from the many Arab Spring protests. None of the articles focus exclusively on Egypt, but many refer to her in some detail, or make points especially relevant to Egypt’s situation. This is very much Hinnebusch’s project: he offers an extraordinary synthetic model for looking at the post-uprising phases of the Arab Spring in his introduction, writes an essay comparing Tunisia, Egypt and Syria, and writes an extensive conclusion. Some of the authors are or were his students. Hinnebusch, Raymond. 2015. Introduction: understanding the consequences of the Arab uprisings – starting points and divergent trajectories. Democratization 22(2): 205-217. This introduction sets the context for the following articles by first conceptualizing the divergent post-uprising trajectories taken by varying states: these are distinguished first by whether state capacity collapses or persists, and if it persists, whether the outcome is a hybrid regime or polyarchy. It then assesses how far starting points – the features of the regime and of the uprising – explain these pathways. Specifically, the varying levels of anti-regime mobilization, explained by factors such as levels of grievances, patterns of cleavages, and opportunity structure, determine whether rulers are quickly removed or stalemate sets in. Additionally, the ability of regime and opposition softliners to reach a transition pact greatly shapes democratic prospects. But, also important is the capacity – coercive and co-optative – of the authoritarian rulers to resist, itself a function of factors such as the balance between the patrimonial and bureaucratic features of neo-patrimonial regimes. This paper is available free on-line. Valbjørn, Marten. 2015. Reflections on self-reflections – On framing the analytical implications of the Arab uprisings for the study of Arab politics. Democratization 22(2): 218-238. 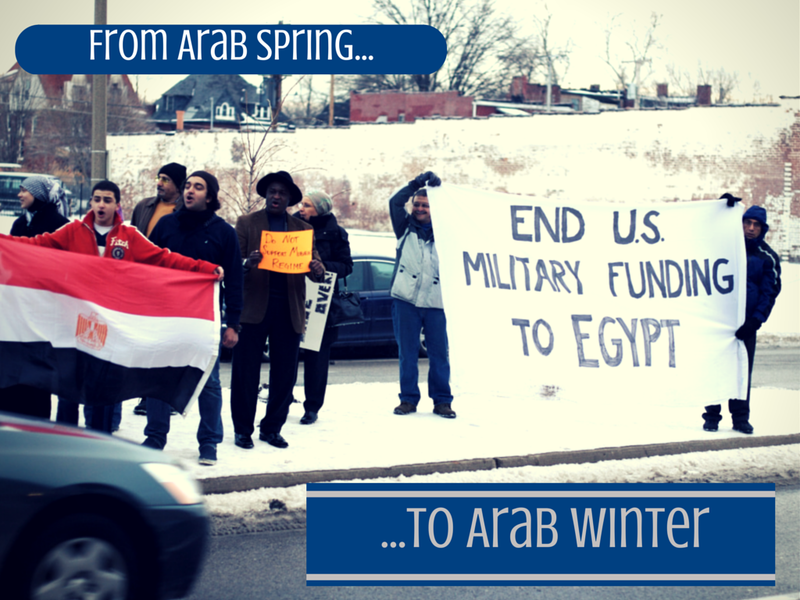 The Arab uprisings have not only impacted large parts of the Arab world. They have also left their mark on scholarship about Arab politics. Following the unexpected events, scholars have been engaged in a self-reflective debate on whether their assumptions and theoretical approaches to Arab politics have proven inadequate and their reasoning flawed, and if some kind of rethink is necessary for how this is supposed to take place. The present article, which belongs in the realms of meta-studies, reflects on these self-reflections. By presenting and evaluating some of the specific positions within this more inward-looking part of the Arab uprisings debate, the article brings attention to how this line of more self-reflective questions can – and has been – addressed within very different kinds of “frames” and how these are associated with very different ways of discussing the analytical applications of the Arab uprisings for Arab politics. More specifically, the article identifies three kinds of framing: (i) a who-has-been-vindicated-and-made-obsolete framing, where the core interest is in picking winners and losers among the last decades’ (post)democratization currents in Middle East studies; (ii) a how-do-we-synthesize-and-upgrade framing, where the ambition is to revise and combine insights from the analytical toolboxes of both authoritarian resilience and democratization; and finally (iii) a how-do-we-get-beyond-the-democratization/authoritarianism-paradogma framing, which perceives the Arab uprisings as an opportunity to engage in a more basic reflection about how (Arab) politics has been and should be debated and whether it is time to make the study of Arab politics into a “genuine science of politics” instead of being reduced mainly to topics of democratization and authoritarian resilience. This article explores the utility of social movement theory, reviewing conceptual developments and its application to Middle East cases before examining its relevance to the Arab uprisings. The initial youth-led new social movements were non-ideological, leaderless, and lacking in clear organizational structures. As the protest movements spread, they grew to encompass a diverse array of other movements and actors: The breadth and diversity of these coalitions made the successful achievement of their core demands for regime change possible. However, the persistence of ideological cleavages within them made agreement on the post-regime change political order near impossible. Scholars working in the transitology tradition assume that authoritarian breakdown leads to movement towards democratization after an initial period of uncertainty. If a transition falls short of democratization, there is an assumption that a return to authoritarian normalcy has transpired. Yet, whether one looks at Egypt, Libya, Syria, or Bahrain, the emergent trend is neither democratization, a return to the old authoritarian order, or a delayed transition. Rather, the weakening and fragmenting of regimes by popular mobilizations stimulated elites’ militarization of the state apparatus and unprecedented levels of state violence against ordinary citizens in a process of regime re-making. Volpi, Frédéric and Ewan Stein. 2015. Islamism and the state after the Arab uprisings: Between people power and state power. Democratization 22(2): 276-293. This paper examines the trajectories of different Islamist trends in the light of the Arab uprisings. It proposes a distinction between statist and non-statist Islamism to help understand the multiplicity of interactions between Islamists and the state, particularly after 2011. It is outlined how statist Islamists (Islamist parties principally) can contribute to the stabilization and democratization of the state when their interactions with other social and political actors facilitate consensus building in national politics. By contrast when these interactions are conflictual, it has a detrimental impact on both the statist Islamists, and the possibility of democratic politics at the national level. Non statist-Islamists (from quietist salafi to armed jihadi) who prioritize the religious community over national politics are directly impacted by the interactions between statist Islamists and the state, and generally tend to benefit from the failure to build a consensus over democratic national politics. Far more than nationally-grounded statist Islamists, non-statist Islamists shape and are shaped by the regional dynamics on the Arab uprisings and the international and transnational relations between the different countries and conflict areas of the Middle East. The Arab uprisings and their aftermath reshaped pre-existing national and international dynamics of confrontation and collaboration between Islamists and the state, and between statist and non-statists Islamists, for better (Tunisia) and for worse (Egypt). Allinson, James. 2015. Class forces, transition and the Arab uprisings: a comparison of Tunisia, Egypt and Syria. Democratizaton 22(2): 294-314. This article intervenes into an ongoing debate on authoritarian regimes in the Arab world following the uprisings of 2011, in particular addressing the perceived failure of those uprisings to bring about “transition” to liberal democratic models. Drawing upon the method of comparative historical sociology used in seminal analyses of democratization and dictatorship in Europe, Asia and the Americas, the article seeks to explain the varying trajectories of the Arab Uprising states in terms of several structural factors, namely the balance of class forces, the relative autonomy of the state and the geo-political context. The article provides an empirical comparison of the cases of Egypt, Tunisia and Syria as points on a continuum of outcomes following the Arab uprising. The article mounts a critique of the absence of class analysis in mainstream transition theory and hypothesises instead an important role for workers’ movements in bringing about even basic elements of liberal democracy. The empirical comparison is shown to support this hypothesis, demonstrating that in Tunisia, the state where the worker’s movement was strongest a constitutional settlement has been reached while Syria, the state with the weakest and least independent workers’ movement has descended into counter-revolution and civil war: the case of Egypt lying between these two poles. Hinnebusch, Raymond. 2015. Globalization, democratization, and the Arab uprising: the international factor in MENA’s failed democratization. Democratization 22(2): 335-357. What explains the almost wholly negative impact of international factors on post-uprising democratization prospects? This article compares the utility of rival “diffusionist” and neo-Gramscian political economy frames to explain this. Multiple international factors deter democratization. The failure of Western democracy promotion is rooted in the contradiction between the dominance of global finance capital and the norm of democratic equality; in the periphery, neo-liberalism is most compatible with hybrid regimes and, at best, “low intensity democracy”. In MENA, neo-liberalism generated crony capitalism incompatible with democratization; while this also sparked the uprisings, these have failed to address class inequalities. Moreover at the normative level, MENA hosts the most credible counter-hegemonic ideologies; the brief peaking of democratic ideology in the region during the early uprisings soon declined amidst regional discourse wars. Non-democrats – coercive regime remnants and radical charismatic movements – were empowered by the competitive interference of rival powers in uprising states. The collapse of many uprising states amidst a struggle for power over the region left an environment uncongenial to democratization. Hinnebusch, Raymond. 2015. Conclusion: agency, context and emergent post-uprising regimes. Democratization 20(2): 358-374. This conclusion summarizes the evidence explaining the divergent trajectories taken by post Arab uprising states in terms of multiple variables, each illustrated by an iconic case, namely: State Failure and Competitive governance (Syria), Regime Restoration and Hybrid Governance (Egypt) and Polyarchic Governance (Tunisia). Factors include the starting point: levels of opposition mobilization and regimes’ resilience – a function of their patrimonial-bureaucratic balance; whether or not a transition coalition forms is crucial for democratization prospects. Context also matters for democratization, particularly political economic factors, such as a balance of class power and a productive economy; political culture (level of societal identity cleavages) and a minimum of international intervention. Finally, the balance of agency between democracy movements, Islamists, the military and workers shapes democratization prospects. ← Whatever Happened to Democratization in Egypt?